I have been finding some pretty strange things in the trash lately: silverware, cups, a My Little Pony, some magnets . . . Monkey really likes to help by throwing things away. 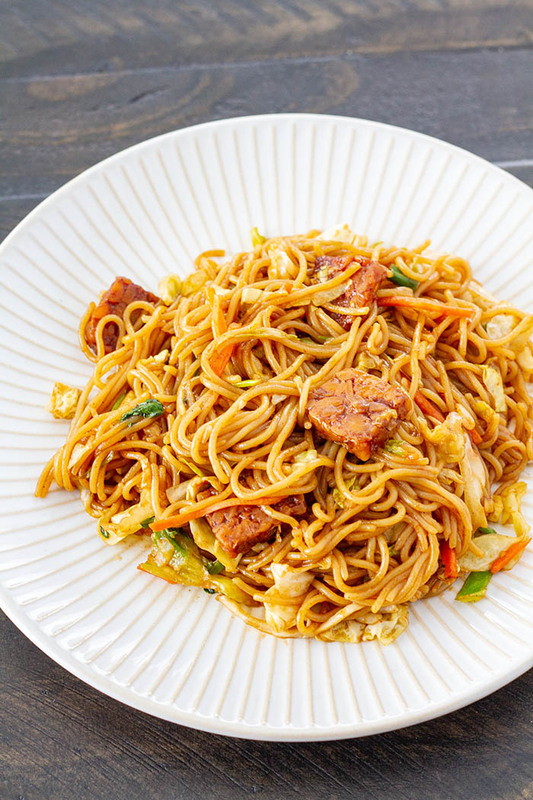 So yesterday, when I was trying to find the notes to my vegan yakisoba recipe so that I could post the recipe here on LFM, and I had spent 2 hours looking for them without any luck, I started to think that they had fallen victim to the overzealous Monkey. When I found them randomly in the laundry room last night I felt a bit bad for thinking that Monkey was the culprit. (Though let’s be honest here, there’s a very good reason that my mind went there…) Thankfully, now that I have the notes, I can share the recipe! 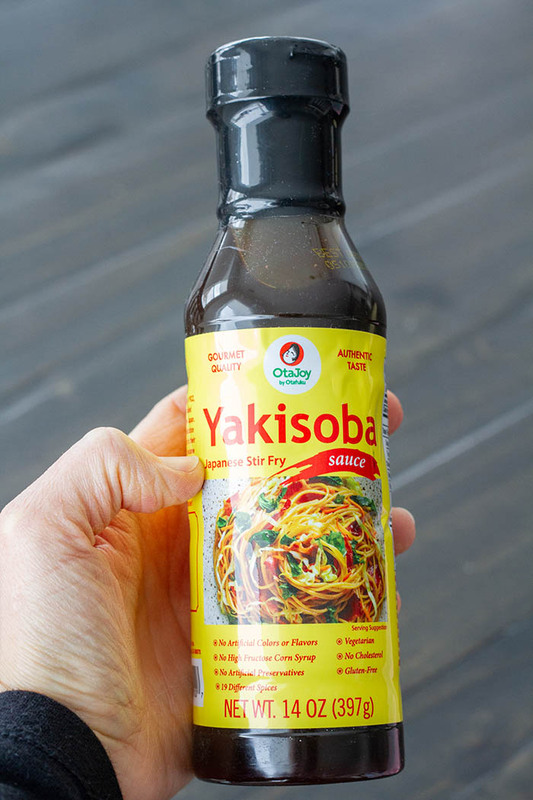 I’ve written about yakisoba before, but it was a while ago, before my plant-based days. 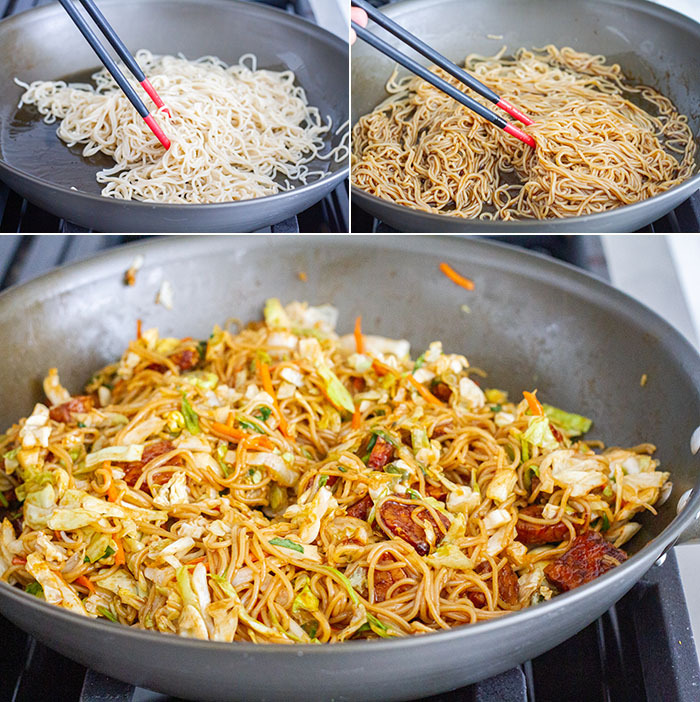 Yakisoba is a Japanese stir-fried noodle dish that I love. 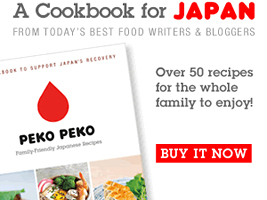 I was recently contacted by OtaJoy, a company who sells Japanese sauces and food kits, asking if I wanted to try their sauces. 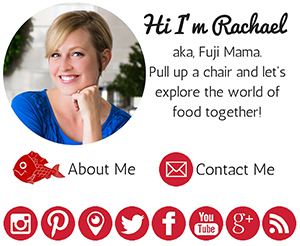 I was really excited, because I was familiar with their parent company, Otafuku Sauce, from living in Japan, and hadn’t realized that they had a US company. They sent me a variety of sauces, as well as one of their kits for making okonomiyaki and one for making yakisoba. The girls LOVED the yakisoba, though I couldn’t eat it because the noodles aren’t gluten-free. I decided to whip up a version that was, using their super simple approach from the box kit. 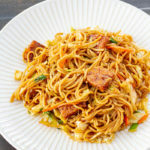 I used their sauce, my favorite Lotus Foods Millet & Brown Rice Ramen noodles, an Asian coleslaw salad mix, and some tempeh bacon (made using my favorite marinade from the Hot For Food cookbook). 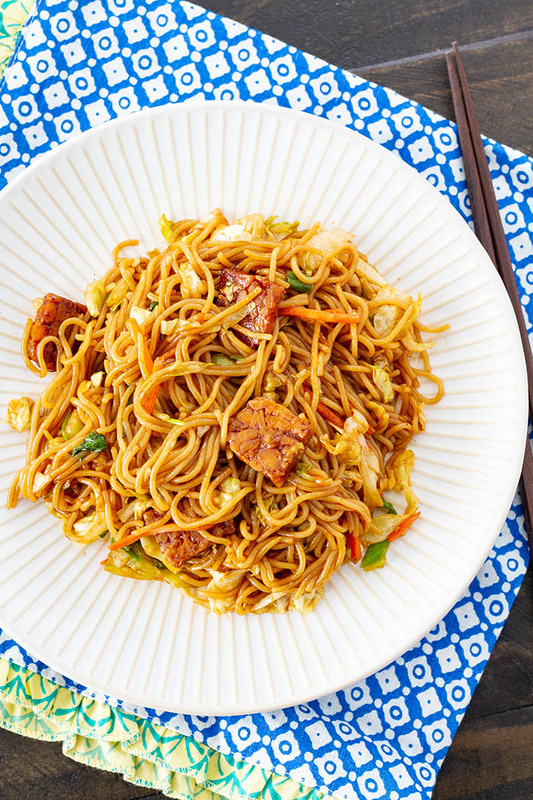 Stir-fried noodles for the win! I hope you love them as much as I do.